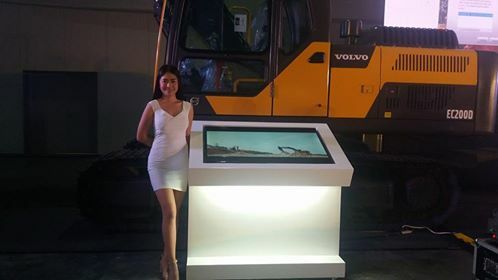 Volvo has launched the EC200D in the Philippines in a media event held last May 15, 2018 at ABS-CBN Vertis Tent, Vertis North, Quezon City. 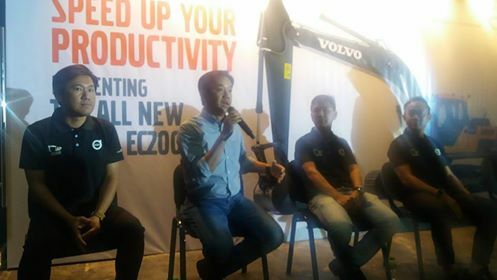 The Volvo EC200D is the fastest 20-ton class excavator in the market borne after years of research in Southeast Asian countries. It was designed based on input from various Southeast Asia stakeholders, with the general construction segment in mind. EC200D features the top 5 heavy equipment needs identified in the market survey--fuel efficiency, quality, fuel consumption, operation, and cycle time. World-class fuel efficiency, productivity, quality, safety and service availability are always included when you buy a Volvo excavator. The new EC200D has all premium Volvo features - and more. Volvo's newest product in the 20-ton class of heavy equipment offers exceptionally high swing torque and unique lifting capabilities which makes it the natural choice for general construction earth-moving work. EC200D crawler excavator's fuel-efficient Volvo D5 engine, advanced hydraulic system and improved controllability delivers a simple, smooth and efficient operation performance, so you can lift and load from the comfort of the industry-leading Volvo cab. The fuel efficient new excavator also boasts of bucket breakout force of 123 kN and arm tear-out force of 96 kN, which helps it deliver high job site productivity and fast cycle times. The excavator cycle time includes digging, lifting, rotation and unloading. EC200D guarantees faster cycle time to assure high profitability of the users. 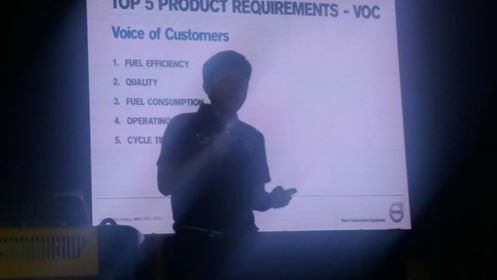 Volvo recognizes their customers' need for faster cycle times compete in the construction industry. The faster the cycle can be finished, the higher productivity for the machine. With the powerful Volvo D5E Tier 3 with output of 123 kW at 2,000 rpm, and strong hydraulics, the EC200D is designed to operate fast and with short cycle times. Shorter cycle times and outstanding lifting capabilities allows it to deliver significant productivity improvements for all types of general construction work. 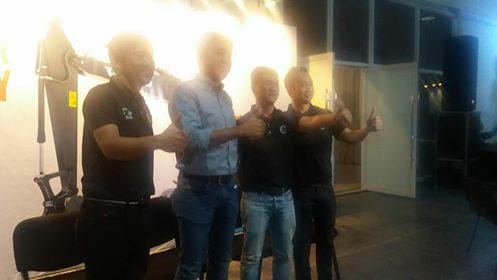 The all-new EC200 is available in Southeast Asia, India and in the Philippines. Civic Merchandising, a privately-owned company serving the construction, mining and transport industry in the Philippines, Civic Merchandising, Inc. is committed to provide quality service and dedication to satisfy relevant stakeholders is reflected in the company’s Vision “to be the preferred partner and model of excellence in customer care” in the industries it serves. 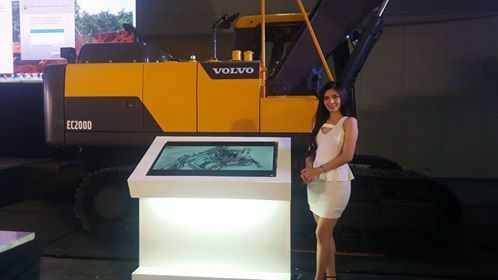 Civic Merchandising, Inc. provides the best brands of machineries like Volvo. Civic Merchandising, Inc. Be it land development to building infrastructure such as roads and bridges, Civic Merchandising, Inc. is able to provide the best customer care for its clients. 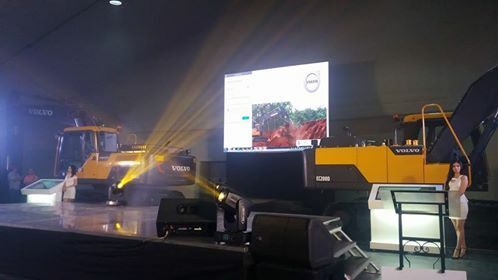 Managing the account of Volvo Construction Equipment and a proud member of the Civic Group of companies is Topspot Heavy Equipment Incorporated. Since 2015, Topspot Heavy Equipment has been serving the Construction and Mining Industry. Topspot Heavy Equipment has proven its topnotch service to clients who have invested in loaders, haulers, excavators, and other construction equipment.